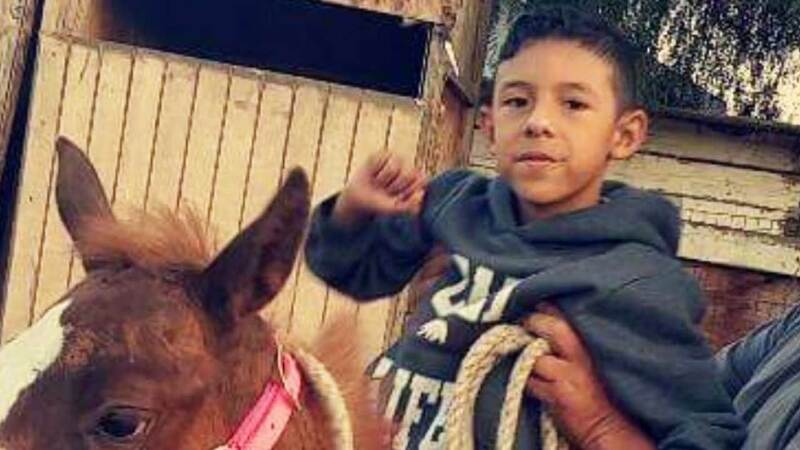 SAN BERNARDINO, California -- Eight-year-old Jonathan Martinez was standing near his special education teacher when both were fatally shot in a San Bernardino elementary school classroom. Jonathan's family shared photos of the boy on Tuesday. Jonathan and his teacher, 53-year-old Karen Elaine Smith, were shot by Smith's estranged husband, 53-year-old Cedric Anderson. Jonathan and another student, 9, were rushed to an area hospital. Jonathan died before making it to surgery, while the 9-year-old was reported to be in stable condition after initially described to be in critical condition. San Bernardino community members held vigils to honor the victims who lost their lives in a shooting at North Park Elementary School on Monday, April 10, 2017. Police said the children shot were not targeted and were likely struck by accident. The shooting happened in a special needs classroom that included students from grades 1-4. At the time, the room held 15 students, one teacher and two adult aides. Parents and their children embraced in emotional reunions after a school shooting in San Bernardino. Jonathan's family set up a GoFundMe account for funeral expenses.